A quick and versatile physical class able to use various weapons, including Lightsabres to their fullest. Depending on his weapon of choice, the Blade Master's skills are altered differently to suit different playstyles: Zanbatos focus on charged strikes for high damage, Katanas focus on dealing Signature Wounds with quick strikes, Lightsabres focus on inflicting Shock (Status), Short Swords focus on extended range with spirit swords, and Bludgeons focus on inflicting Stun (Status). 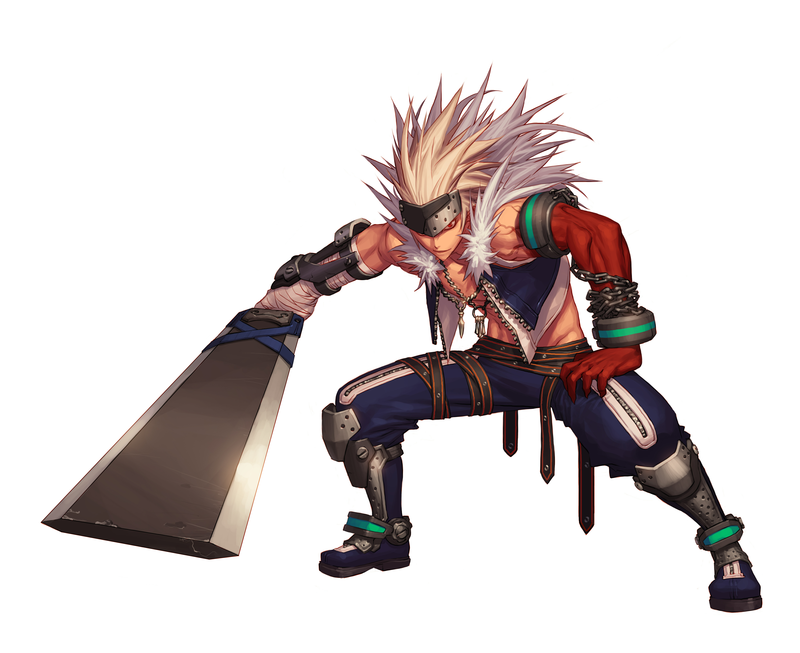 With Rapid Weapon Switch and Weapon Wielder's Zenith, the Blade Master is able to switch and wield different weapons with ease, allowing him to have mastery over different weapon types with minimal amounts of SP. Once he has access to Deft Grip, the act of switching weapons alone is able to inflict damage to surrounding enemies. His combo ability is among the best of the Slayer subclasses and he's able to do consistent and burst damage rather well. While not the toughest Slayer subclass, his Blade Master Light Armor Mastery emphasizes speed while providing some defense. A magical class that can deal Shadow damage over time and/or AoE Debuffing support. He's usually associated with the Katana, though Short Swords are sometimes used. The Soul Bender is able to use a 4-hit Basic Attack which deals Shadow damage, move at increased speed, and take reduced damage with Afterimage of Keiga, as well as gaining temporary invincibility during parts of a dash. Since he uses Cloth Armor, Keiga is recommended to be active on the Soul Bender at all times. The Soul Bender can summon Kazan to buff allies within range, and Bremen to debuff enemies within range. Unshackle causes these ghosts to deal damage to the enemies within range, and is a primary form of damage that he has at his disposal. The Soul Bender can pull enemies into the circles of his ghosts with Phantom Sword Slash, as well as holding them in place with Phantasmal Slayer, in order to maximize damage dealt by the ghosts. When surrounded, the Soul Bender can unleash a charged Ghost Slash as Ghost Slash Drive to deal burst damage, use Full Moonlight Slash to toss enemies into the air, or rain Tombstones down upon surrounding enemies while reducing their Shadow Resistance with Lunar Curtain. Once the Soul Bender has access to Kalla of Dark Flame, he can take a more offensive stance in battle, sending doppelgangers at enemies with each sword slash to set enemies on fire with dark flames. The Soul Bender can then ignite the flames with Ghost Slash Drive, Full Moonlight Slash, or Phantasmal Slayer for additional damage. 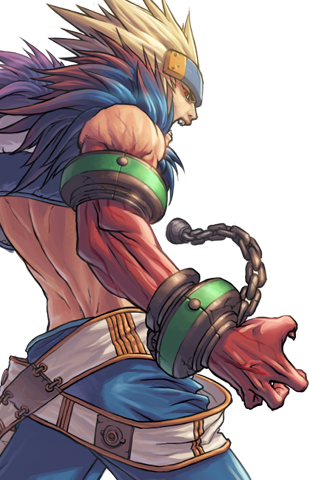 A physical class that focuses on dealing damage in large bursts by sacrificing his HP and defense. Wears Heavy Armor but caution is advised as he mostly plays with low health and has greatly reduced defense when he is at his strongest. He's mainly associated with Zanbatos, though Katanas and Bludgeons have been seen used by some. A much more direct magical class than the Soul Bender, able to attack with a mix of elements. He specializes in Short Swords and Katanas, but is mainly associated with Short Swords. He has very high survivability from Asura Plate Armor Mastery, with naturally high evasion from Hostility Detection. The Asura utilizes Wave Manifestation Brand to gain Wave Manifestations from wave-based skills such as Ice Wave Sword and Fire Wave Sword, as well as the ability to fire sword waves with his Basic Attacks and Upward Slash. 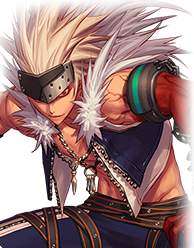 He can charge Spirit Crescent to fire it as Asura Spirit Crescent, as well as instantly dealing damage and knocking back enemies around him with Wave Radiation, to keep enemies away. With enough Wave Manifestations, the Asura can use them to unleash powerful skills such as Ghost Orb which has high hitstun and Agni Pentacle which downright holds and lifts up enemies while dealing damage. Along with Ground Quaker and Deadly Enticer, the Asura has many holds and vacuums while boasting fairly high amounts of damage.